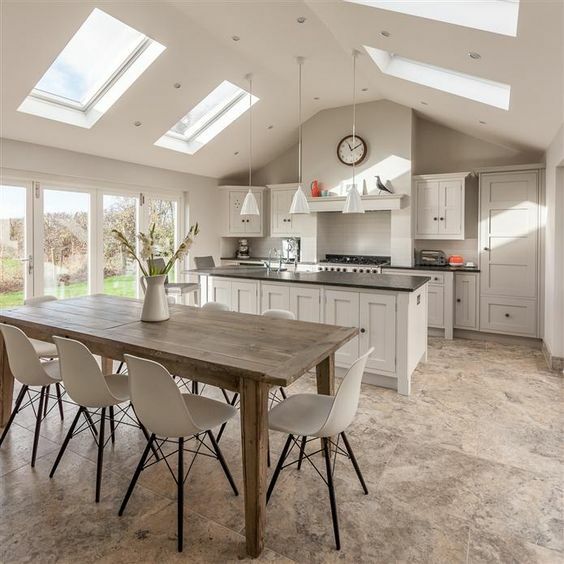 Kitchen trends are changing as open plan homes become more popular and the kitchen is no longer hidden at the back of the house behind a closed door. 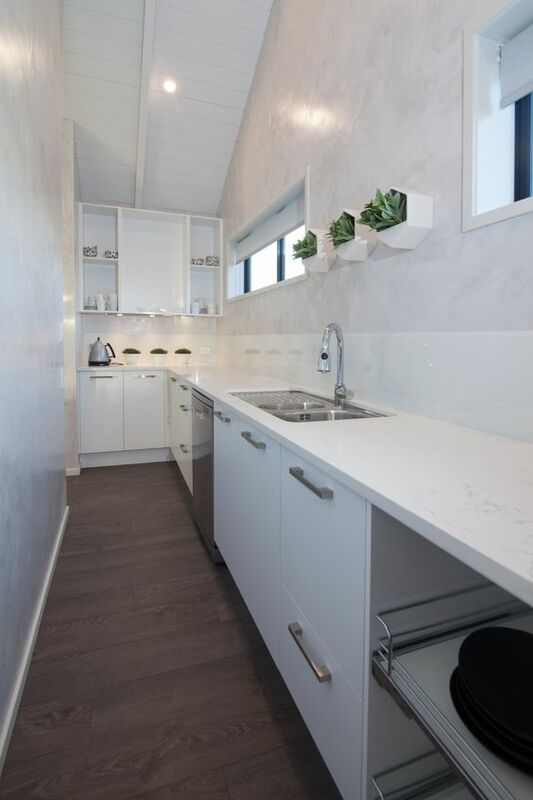 They still need to be efficient and super convenient but now they need to be stylish too; so boring designs are out and streamlined color schemes, clever storage and space are in! 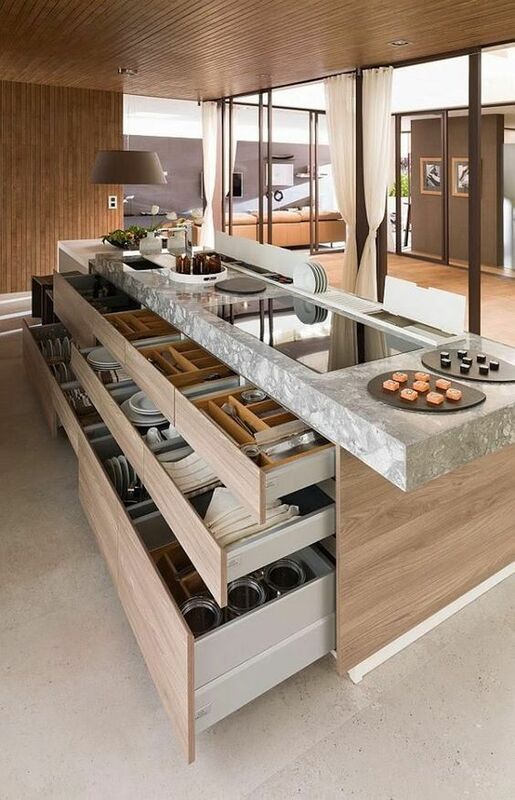 Designers are sharpening their kitchen designs to look more elegant, work smarter, and even do more. Here are a few of the current trend setting designs. The trend is towards open plan kitchens that double up as entertaining areas; and visible at all times to guests and friends. The pressure is on to have cleared wide open bench space at all times. That means better storage with easier access, to reduce your working footprint. You don't want to run from one end of the kitchen to another. Even though it looks big, you want to work within a small triangle. If you live in a moderate-sized home or apartment, you need smart spaces, and less things to go in even less cupboard space. 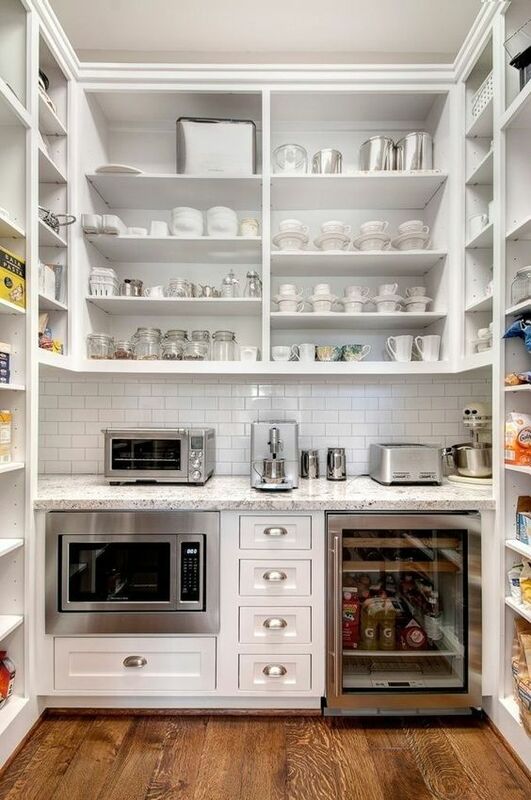 Use the inside of doors and cupboards to double the amount of storage space for utensils, pots and pans. Too many cabinets can make small kitchens feel congested. 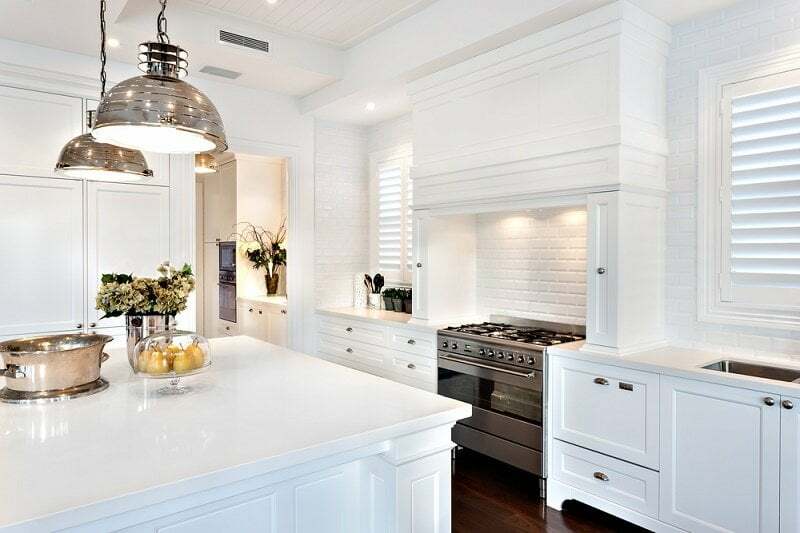 If you are renting, and permitted to paint your cabinets, choose lighter colors, especially for top kitchen cabinets; so the kitchen doesn't feel dark and heavy. Smart Kitchens are a growing trend. Not only are kitchens used as an entertaining hub but increasingly, they are expected to be a Wi-Fi hub too. 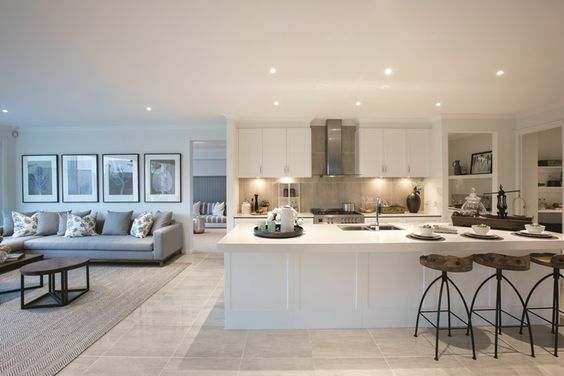 From accessing the internet for children's homework to remote controlled fridges and cookers, this trend continues to grow as demand goes up and costs to install comes down. 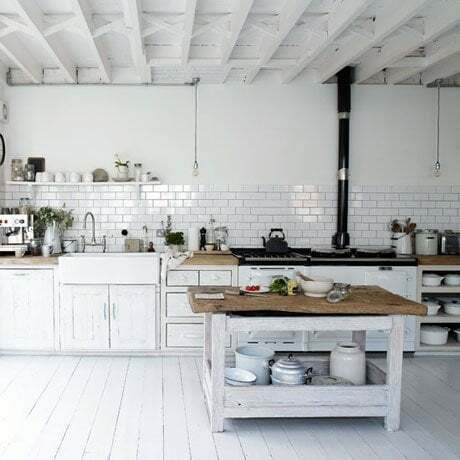 Your kitchen might look all country cottage or vintage on the surface but it might need to operate like a landing space station on the inside. Kitchens were mostly integrated with the dining room. 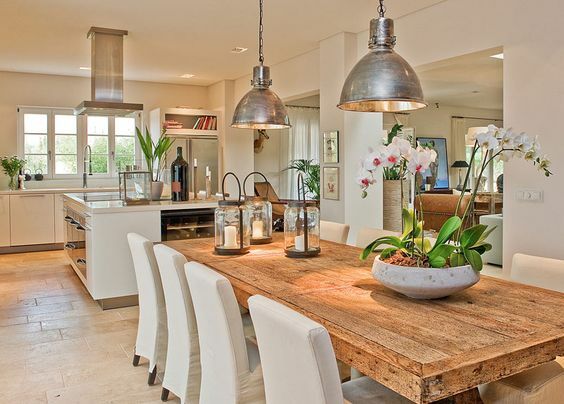 Today, designers mostly have kitchens integrated with the living room. Living this way means walls do not separate cooking from entertaining; no-one misses out, especially the cook. And while they take up less space and help you enjoy your guests, they are often more complex in design to operate efficiently. Do they work? Yes and No. The sharp increase of a butler's pantry, scullery and large pantries to hide any mess when entertaining guests suggests 'no'. The scullery below is a wall behind the main kitchen with an entry at both ends. The choice between adding dishes to the dishwasher in front of guests or looking at a stack of dirty dishes for hours while you finish your meal and coffee, doesn't feel like clever choices. If you have space, think about how you can incorporate a large pantry, a scullery or butler's pantry to your kitchen design. It might only be a nook, or a thin wall, but it will make all the difference. If the laundry is close, maybe that is where the solution lies for you in your home. 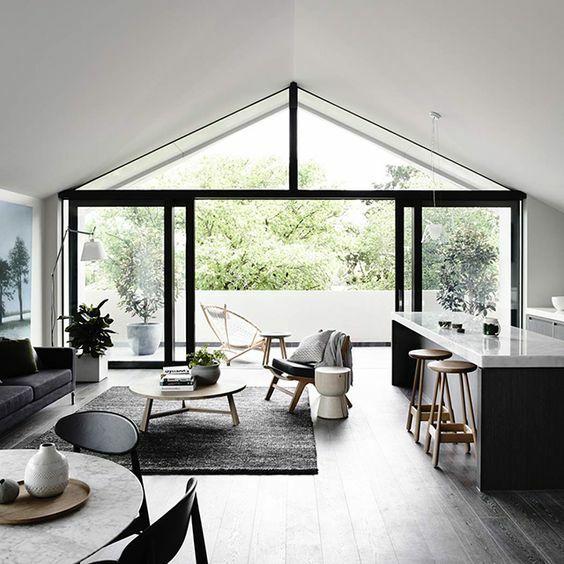 The latest trends in modern kitchen designing are contemporary; matching colors and textures of the kitchen walls with rest of the house, making the space feel more open, lighter and larger. That means streamlining your furniture look between your dining table, kitchen benches and wall colors so all areas feel united. Make certain that textures look similar. 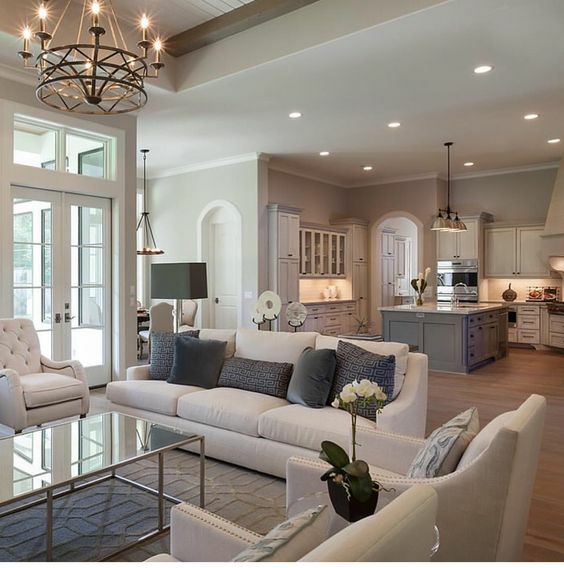 Kitchens need robust surfaces while living rooms are often softer, as long as the wall colors and textures have a similar look and feel, you should be able to accommodate both. Kitchens are changing color. Being integrated with the living room means using similar color palettes. So, it should be no surprise that gray and white combinations are trending, along with classic black and white. 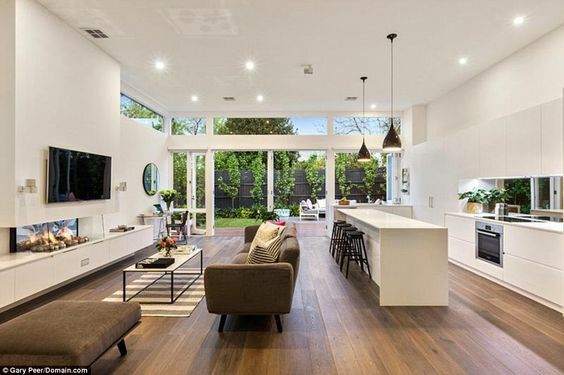 Kitchen sinks and faucets, cabinets and handle and light fittings are trending towards designer styles, reflecting living room styles and standards. The styles are high end but kitchen designers and manufacturers are quick to create moderately priced kitchens without the designer price tags. thanks for writing in. Do you mean cabinets or wall paint color? Look forward to hearing from you.